Manipulated IPCC Science supported by Manipulated Appeals to Authority | Watts Up With That? The story of how Maurice Strong and the Club of Rome set up the United Nations Environment Program (UNEP), the United Nations Framework Convention on Climate Change (UNFCCC) and the Intergovernmental Panel on Climate Change (IPCC) to direct political and scientific focus on CO2 to ‘prove’ it was causing global warming is well documented. If you want a detailed account read my book, The Deliberate Corruption of Climate Science or a simpler, abbreviated version for the non-scientist titled Human Caused Global Warming: The Biggest Deception in History. The books are unique because they integrate how the science was created to achieve the political agenda. Focus on the bad science was necessary, but once demonstrated, demands an explanation of the motive. Consensus was a central theme to the political promotion of anthropogenic global warming (AGW) from the start. Initially, it was the 6000+ representatives of the IPCC. Later, it became the manufactured percentages of 95 of Naomi Oreskes and 97 for John Cooke. However, there was another form of manufactured consensus that continues to influence public and political opinion. It is a more powerful form of consensus because it encompasses an appeal to authority. Not only do the ordinary people support the cause and claims but also those with standing, even though it is usually self-assigned. The two best examples used to promote the consensus of authority in the climate deception are the Nobel Prize, jointly awarded to Al Gore and the IPCC and the openly declared support of scientific societies for the IPCC Reports. According to the IPCC, there is a real danger that the climate changes may also increase the danger of war and conflict, because they will place already scarce natural resources, not least drinking water, under greater pressure and put large population groups to flight from drought, flooding, and other extreme weather conditions. As I read that, they are accepting the IPCC’s word for the danger. This is incredible and shows they did not do their homework or even if they did, failed to understand there is no empirical evidence to support the IPCC claims. It underlines how phony these awards and ripe for political exploitation. According to the Nobel Committee, Gore is probably the single individual who has done most to rouse the public and the governments that action had to be taken to meet the climate challenge. “He is,” in the words of the Committee, “the great communicator”. The problem is Gore received his award in the same week that Justice Burton of the UK Court released his judgment of Gore and his movie. There are errors and omissions in the film, to which I shall refer, and respects in which the film, while purporting to set out the mainstream view (and to belittle opposing views), does in fact itself depart from that mainstream, in the sense of the “consensus” expressed in the IPCC reports. He later lists nine errors, although, Lord Monckton showed there are many more. It is important to note that the Wikipedia entry on the trial works very hard to discredit Monckton because of his efforts to obtain funding for the working-class father of the child forced to submit to the biased presentation without proper balance, as the law required. The question is why didn’t the Nobel Committee know about all this information? Obviously, they did no research and simply gave the prize as they were directed. Do they apply a similar laxity of investigation in any other discipline? The information given at the trial was publicly available because the major witness at the trial was the late Professor Bob Carter. Few people were more industrious and rigorous as he published extensively and traveled the world spreading the information. He was a contributor and reviewer of the monumental Nongovernmental International Panel on Climate Change (NIPCC). A most troubling aspect of this abuse of awards is that it diminishes the value of the award for those who earned and deserved it. But it gets worse. Here is the most disgraceful, disgusting and shameful part of Gore’s award. As media do a victory lap over Friday’s Nobel Peace Prize announcement, it seems a metaphysical certitude that few Americans are aware of the other 180 nominees for the award besides the Global Warmingist-in-Chief Al Gore. Hadn’t heard of her? Well, don’t feel bad, for since the Nobel Committee announced the nominees in February, there have only been 107 reports about Mrs. Sendler being one of them. By contrast, Al Gore and “Nobel” have been mentioned in 2,912. To put an even finer point on the astounding difference in media coverage, since the nominees were announced, Mrs. Sendler has been referred to in only six newscasts on television and radio, one by conservative Glenn Beck. Gore’s Nobel nomination was discussed in 249! Well, how does Irena Sendler’s contribution to “Humanitarian work and world organizing” compare with Gore’s promotion of a falsely created scientific fraud? In 2005 Brian May or Lord May (another undeserving award), President of the Royal Society gave an address speaking to his belief that a major function of the Society is to spread what it considered important. Here are two quotes from the address that explain why other scientific groups and societies around the world were used. The remainder of the Address will survey some specific threats to tomorrow’s world, in the form of climate change, diminishing biological diversity, and new or re-emerging diseases. The increasingly deliberate internationalisation of scientific institutions, particularly in response to the above-noted problems, will be emphasised. In what follows, I concentrate on three particular problems: climate change, biological diversity, infectious diseases. In each case, the problems are essentially global, not recognising the boundaries between human states. Correspondingly, the involvement of the scientific community – in basic understanding, in practical measures, and in policy recommendations – needs to transcend national boundaries. If it is that obvious, why didn’t Lord May or members of the Royal Society see it? This granting of unwarranted awards to bolster credibility is a disgrace, but typical of why politics and politicians are held in such disdain. It is likely Al Gore had a great deal to do with it because he used the power of the Vice-Presidency in so many self-serving ways. Remember, Barack Obama also received a Peace Prize that puzzled even ardent supporters. Gore’s presence, influence and aggrandizement are everywhere throughout this entire climate deception story. As usual, people know these machinations occur but still have a hard time believing it. April 23, 2017 in IPCC, Opinion. Well, we’ve had both around for quite a long time, but in the arrogance of each new generation, there was apparently a consensus (pun intended) that this was all a long time in the past and that we’ve evolved far beyond it. Interesting view of the politics of the IPCC. This not ‘tinfoil hat’ stuff, these are their own words. Did you know that power is more addictive than heroin? people with power rarely give it up voluntarily. They must be voted out or thrown out because most of the self-selecting sociopaths who enter politics don’t leave voluntarily. These UN people are power mad and will lie, cheat and steal (Trillions!) to keep that power – because they are literally insane in their quest for power. Well egos and treating climate science like a religion certainly get in the way. And politics…Lord, the politics. Seems like every warmista is a liberal and “denier” a conservative. But we’ve certainly seen climate scientists say one thing in public and another in what they thought would be private conversations. I have never heard climate change to be a “conspiracy,” but I have heard climate change denial to be. So who is in tin foil hat territory exactly? The one from Schneider is the most telling. What prominent scientists, let alone climate scientists, have admonished him for that statement other than so-called “deniers?” Which ones turned their backs on him? They’ve defended him and said it was taken out of context (how?!?!?). They consider him one of their founding fathers. It’s sick,. It is certainly hard to believe that the current climate change paradigm is a huge and well coordinated conspiracy, involving 10’s of thousands of co-conspirators. That would be practically impossible. No one could pull that off. But it does not take a lot of people to build a false paradigm. A few people can do it in 5 easy steps, if they understand human nature. They do not need thousands of co-conspirators. In fact, the fewer that know the truth, the better. 2. and then they have to exaggerate the threat to that noble cause. This only takes a few well-placed ‘experts’. 3. Then you propose the ‘one and only’ solution, ignoring all others. In the case of climate change, the ‘solution’ has always been carbon mitigation, even though there are many, more efficient things we could do, if the threat was actually real. 4. Demonize your opponents as being against the noble cause. 5. Demand a sacrifice to implement the solution. If the masses comply, you are in control. In addition, the media, with its mentality of ‘if it bleeds, it leads’, was a very willing accomplice. Academia was also more than willing to write 1,000’s of ambiguous papers on the subject, as long as the grant money continued to increase with each mention of man-made warming, and boy, did it increase. No…it is not a conspiracy. The world was just ripe for another well-crafted false paradigm; another hobgoblin to keep the populace in line. Our human history is chocked full of this crap. Global warming is just the biggest one to date. While conspiracies do happen, the climate change scam is far too big to be one. Rather, it is a confluence of the coinciding agendas of special interest groups. The alarmist scientists want money, fame and prestige. The mainstream media want scariest-ever stories. The cultural-Marxists want control of societal values. The socialist billionaires want control of the means of production. The industrial enviro-profiteers (esp. Chinese) want to surf peaking production waves. The ideologically-driven eco-loons want to “save Gaia” through de-industrialisation. The neo-Malthusians want to reduce human populations. The virtue-signallers want other useful idiots to be impressed by their slavish conformance to the meme. But the big one is Governments. They desperately want a morally-palatable, over-arching and unavoidable big-new-tax-on-everything but especially on the air you breathe. They need it to pay for all the “entitlements” they buy votes with. You ask how the “roll-over of all major institutions” was achieved. The achievement was easy and required surprisingly few – but activist – individuals. I commend this analysis by Richard Lindzen of how the “roll-over” was achieved. It is a shocking account that ‘names names’. Michael Jankowski: schneider was criticizing the demands of the “public debate,” as determined by the msm, not acquiescing to it. An old Chicago proverb applies here, “When all else fails, follow the money”. Many were/are thinking they are a temporary collection of cells, generated by happenstance events which favored their ancestor’s well being/survival . . and that they will be gone forever one day, soon enough, never being aware again, of anything at all. Thank you Dr. Ball, as ever, for a well written article that non scientist’s can understand. It also acknowledges that science cannot, and will not, win the day in this debate. It is a political battleground. Never so true in these climate wars so far. If the truth is to prevail, then one of two things will have to happen. Either the data in the climate temperature will prove wrong over the next 10-15 years invalidating the alarmist narrative, or a causation will have to be proved one way or the other that human induced CO2 is now the new driver of climate and therefore the whole AGW premise is either valid or not. Which means the average global temperature will have to rise continually in lockstep with human caused CO2 emissions. It is a binary ‘truth’ so say the alarmists. It is as simple as that. And it is a good thing the alarmists have hung their hat on the premise of warming, otherwise they would tell more lies why the cooling would be a result of the increased CO2. The science is on the side of the skeptics because it really doesn’t have to prove anything. The onus is on the alarmists to prove beyond a shadow of doubt that surplus CO2 in the atmosphere over and above what the natural background would have been without human input, and is solely responsible for the total temperature increase we have seen since 1850. The only tool they have is a model, so which model is correct is based upon correct inputs, which is a ‘wicked’ guess. I suspect only time will tell, and then it will be so easy to see that CO2 is a very negligible factor in the global warming so far, as the skeptics have made that case to be. If the alarmists just got lucky with a small natural temperature increase since the late 1970’s, while CO2 increased, then why did the temperature record fail the same test from the mid 1940’s to the 70’s when CO2 was increasing? You can’t have your cake and eat it to. But the damage done to Science over a very short time scale of 25-30 years may be irreparably damaged for decades to come. However, IMO, it will turn out that increased CO2 makes the planet more sustainable in the biosphere and therefore better able to cope with an increased population of 7-8 billion people. If it cools significantly, then we are at risk of crop failure in the northern hemisphere which would be truly catastrophic. No one talks about this, which is very unfortunate because we can always accommodate and adapt to some warming, not so much for a cooling. One thing is absolutely certain, the evidence presented so far by the alarmists would not pass the threshold for a judiciary under the rule of law to rule on in their favour. Other than the “good” PR she brought the Catholic Church, there is little to praise there. The Left always lauds its thugs with international accolades. The Nobel Prizes in everything except hard science have always been about Swedish Far Leftist patting other Collectivist robbers on the back. 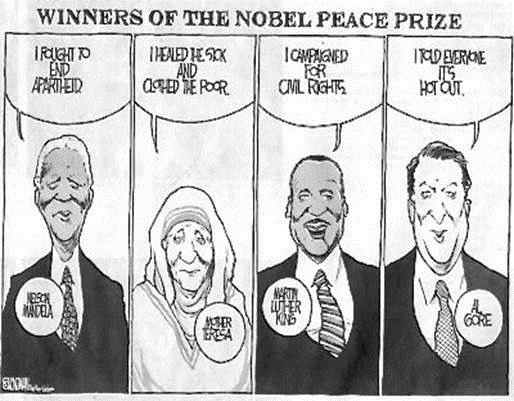 The Nobels, just like other Leftist institutions like the EU and UN are worthless and should be abolished. But every now and then they pick a True and Righteous Hero – like Obama!! Sorry.. I am a white guy that visited his jail cell and read up on his life. You and I should be appreciative of the fact that change happened in South Africa, without Syrian or Libyian or Somalian type of blood bath. That was because of Nelson Mandela. He is truly one of the greats and deserving of the Nobel award. Nelson started out a communist terrorist, but ended up preventing S africa from becoming another zimbabwe. I think he deserves the gong. Institutional fake science is not what the likes of Robert Boyle, John Wilkins, John Wallis, John Evelyn, Robert Hooke, Christopher Wren and William Petty had in mind. More than 60 different explanations have been proposed to explain why this ‘pause’ or ‘hiatus’ has happened, and their sheer number is the clearest evidence that the system that climate scientists are seeking to model is irreducibly complex. Human-sourced carbon dioxide is at best one of many factors in causing climate change, and humility in front of this complexity is the appropriate stance. Fret…maybe I’m missing something here, but Forrest wasn’t saying that you were looking for something. I presume he was merely throwing out a hat tip to the Star Wars line: These aren’t the droids you’re looking for. That is, essentially agreeing with you. Just like if I had said, “Pay no attention to the temperatures behind the curtain,” as a way of summarizing Karl et al. corruption is simple to engineer. 1. identify the decision makers. 2. give them a financial stake in the decision. In many cases all it takes is “will we get you a plush job if you play ball once you get it”. 97% of scientists and engineers (engineers?) are “concerned about climate change™” yet the only person CNN could find to debate Professor Happer was Bill Nye? And an executive from 350.org.
. . . If the truth is to prevail, then one of two things will have to happen. Either the data in the climate temperature will prove wrong over the next 10-15 years invalidating the alarmist narrative, or a causation will have to be proved one way or the other that human induced CO2 is now the new driver of climate and therefore the whole AGW premise is either valid or not. . .
– He was elected for an international award, whilst a court case was going on in the background. – He published a large amount of information noisily in public, and bits of it were subsequently found not to be fully fact-checked. – A Russian political appointee and Putin supporter temorarily disagreed with the material. Wowee, major stuff. Unheard of. Unthinkable that a US president-elect would ever behave like that. And to cap it all: the work had been praised in the retiring speech of the president of a major scientific organisation. Disgraceful. He told lies in his movie. His work had been praised in the retiring speech of the president of a major scientific organisation. Disgraceful. It’s not about the science. This is what the skeptics don’t get. The reason the skeptics aren’t making any headway is because catastrophic warming is a politically expedient theory. Look around: there is MASSIVE PR behind catastrophic warming. Note: not massive science, massive PR, otherwise known as propaganda. IMO skeptics are making more than headway. We’ve lapped the liars. There’s a new science sheriff in town, ready to bring down the bad guys and drain the swamps in which they hide. A new day has dawned. Let’s hope it lasts long enough for the sunshine to purify the putrid lies of the Catastrophic Anthropogenic Climate Alarmism (CACA) liars. I think George Orwell hit that nail on the head in “Animal Farm”. “The elites are not communists.” Once you realize that in Communist societies, the Elites are more privileged than they are in any other society, it all falls into place. The Communist elite were of course not really communists. The nomenklatura in communist societies were just like the medieval aristocracy, ie ten percent living high on the hog on the backs of the subjugated 90%. I think the “fake communism” aspect is where many, including climate meltdown skeptics, are somewhat . . clumsy in their treatment. Youngin’s don’t have that “Of course not real communism” auto-play subtext going in their heads. The rhetoric of communism is alluring, and I agree we do well to get that “fake communism” addendum into the discussion as a matter of course, mark4asp . . thanks for speaking up here. Yes, but without the work of scientists seeking real information, this whole affair would have been unstoppable. IRS Form 990s have information on officers, board members and how funds are spent. IISD has offices in Canada, Switzerland, and the United States. Funding sources include (unnamed) UN Agencies. Includes Chairman Emeritus of the IISD and much more. Foreward by Rt. Hon. Gordon Brown MP. Looks like Bill Nye is using his “star power” appeal to millennials during his Disney show days and his $5 Million investment in Rayton Solar (Santa Monica, CA) to carry the torch of fraud when Al Gore hands it to him. $5 Million is a lot less than the $535 Million Solyndra got with Obama’s help, but might end much the same. investments like solyndra made the us govt $5 billion…. but would have been worth hit even if not, considering the high cost of damage to health and the environment from burning fossil fuels. Sorry, that’s either Brian May, or Robert May. Robert ‘Bob’ May is Lord May of Oxford and president of the Royal Society. Brian May is guitarist with Queen, but is also a PhD in Physics. Anyhow, your post is in error over this point, and the assertion that the ‘award’ was undeserved looks a little churlish, ill considered and perhaps also in error. Check it all out on Wikipedia. I much think that UCL needed a contribution funding “Bump” and hatched a plan to give Brian a Ph.D. in astronomy, which he had been working on in the early ’70s prior to the band’s success, so as to get that “££££” bump. That does not say that he is not deserving, just that “political” currents are at play and the UCL Board say an easy meal ticket. He doesn’t need to do it all himself. The IPCC’s summary for policy makers is a pack of lies, as shown repeatedly by every real scientist who has addressed the issue. The 52-odd activists who perpetrate that fr@ud should be prosecuted for crimes against humanity. The pal-reviewed papers spewed in such profusion by the professional liars of consensus “climate change research” are worse than worthless GIGO, while every one of Bell’s studies is a model of the scientific method. Quality trumps quantity every time. So to speak. chimp: tim ball didn’t disprove ANY of it himself. his whole career was just four papers, all on very local issues, none of which even tried to tackle any of the big debates taking place in the field of AGW. You can take note of a paper peer reviewed and published in 1991as an example. tim, how many peer reviewed publications did you publish in your entire career? Why are you bothering with reading and commenting in a blog if it is so plebian and uninfluential? I note that you don’t follow the conventions of capitalization. It has been my experience that the practice is one followed by liberal “rebels without a cause” who consider themselves so important that they can flaunt convention. Or is the practice similar to those who get a tattoo in order to draw attention to themselves because they have nothing else to offer to distinguish themselves? i want to read the thoughts and ideas of those whom I (mostly, but not entirely) disagree with. to learn. don’t you? don’t you read blogs you don’t always agree with? Well, Crackers, if you actually read the scientific papers on the subject, you won’t find much of anything that directly supports the idea of catastrophic climate change due to increasing greenhouse gases. There are a ton of papers with a lot of words like ‘might’, ‘could’, ‘if-then’, ‘may’, ‘possible’, and so on. My favorites are those papers that directly contradict the theory of AGW, but conclude, against all reasoning, that their findings do not contradict the theory of AGW, and that their is some other reason for their findings, but they will need more money to understand it. It would be funny if it wasn’t so dangerous to the civilized world. No…the science does not support the alarmism. It never has. The science is very weak and pretty conservative. The alarmism comes from outside the peer-reviewed papers for the most part. It comes in press releases, the media and eco-activists exaggerating what the scientists say. It comes in the Summary for Policy Makers from the IPCC, that spins what the body of the report actually says. It comes in the demonizing of skeptical scientists by pundits, actors, reporters and left wing billionaires. It comes in blogs and editorials! The science doesn’t matter. The atmosphere can stop warming as the concentration of CO2 increases more than ever. It doesn’t matter. Antarctica can gain ice when the theory says it should be melting. It doesn’t matter. Sea level rise can remain constant or even slow down when the theory says it should be accelerating rapidly. It doesn’t matter. There can be no trend in severe weather when the theory says it should be increasing. It doesn’t matter. The tropical upper tropospheric hot spot, one of the prime signatures of man-made global warming, can be completely absent. It doesn’t matter. The atmosphere can warm at a third of the rate predicted by the models. It doesn’t matter. Natural climate change theory? It doesn’t matter. 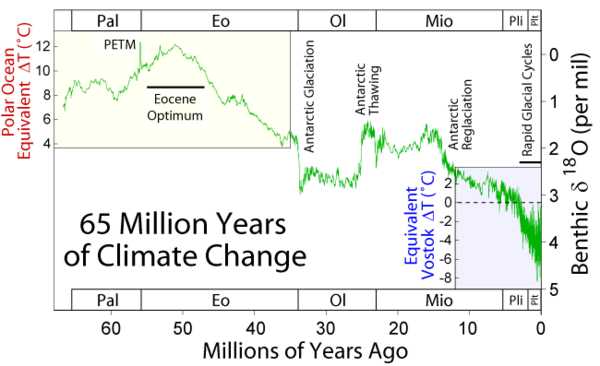 Every bit of evidence from the history of this planet indicates that the concentration of CO2 in the atmosphere is not a significant controller of atmospheric temperature. But that doesn’t matter either. The theory has already been ‘disproved’ by nature itself, and well documented in the scientific literature. It doesn’t matter! Prof. Tim Ball is fighting this battle where the battle is being waged; in public opinion. That is where we find Bill Nye, Al Gore, Neil DeGrasse Tyson and so on. They are not proving their positions in the scientific journals. (No warmist ever has!) They are spouting off in the public eye with name calling and appeals to authority. Prof. Ball is trying to catch the public eye with science and rationality. Prof Ball is also being sued by serial litigious climate terrorist M Mann. Why is Mann suing Ball?? jclarke, i don’t ever see any mentions of “catastrophe” in the day-to-day peer reviewed literature. I never aspired to be in business. I went into business because I only have a high-school education, and I couldn’t get jobs that required higher qualifications. I went into business quite reluctantly, because it was the only place I could get a job. Dr. Ball, any idea of where Mr. Weaver’s funding is coming from in his race to become Premiere of BC? The most important task for the IPCC has been to make an accurate determination of the climate sensivity of CO2. In their first report the IPCC published a wide range of their guesses as to the climate sensivity of CO2. In their last report the IPCC published the exact same range. So after more than two decades of effort the IPCC has learned nothing that would allow them to decrease the range of their guesses one iota. The IPCC sponsored a plethora of climate models. The large number of models is evidence that a lot of guess work was involved. The large number of different models predicted a wide range of values for today’s average global temperature. But the IPCC sponsored models all have one thing in common. They have all predicted global warming that did not happen. If these climate models were evidence of anything it is at there is something wrong with the AGW conjecture. Others have developed models that do not include any CO2 based warming that do adequately predict today’s global temperatures. Based on the success of these models and all the climate change that happened before the industrial revolution one should conclude that the climate change we are experiencing today is cauaed by the sun and the oceans over which Mankind has no control. The IPCC fails to recognize such a conclusion for fear of losing their funding. It is all a matter of politics and not science. One researcher has found that the original calculations of the Planck climate sensivity of CO2, that is the climate sensivity not including any feedback effects, are too great by a factor of more than 20 because the original calculations ignored the fact that a doubling of CO2 will cause a decrease in the dry lapse rate in the troposphere which is a cooling effect. So instead of 1.2 degrees C, the Planck climate sensivity of CO2 should really be .06 degrees C which is a trivial amount. Then their is the issue of feedbacks. The IPCC assumens that H2O provides a positive feedback and amplifies the effect of CO2 by an average factor of 3 but they are not sure exactly how much. What they have ignored is that H2O is a major coolant in the Earth’s atmosphere as exemplified that the wet lapse rate is signiicantly lower than the dry lapse rate. Also for the Earth’s climate to have been stable enough for life to evolve H2O feedback must be negative so instead amplifying the warming effect of CO2 by a factor of 3, H2O more than likely retards the warming effect of CO2 by a factor of 3 yielding a climate sensivity of CO2 of .02 degrees C which is rather trivial. Of course the IPCC totally ignores this logic for fear of losing their funding. It is all a matter of politics and not science. The AGW conjecture depends on the existance of a radiant greenhouse effect attributed to trace gases in the Earth’s atmosphere with LWIR absorption bands. But the reality is that such a greenhouse effect has not been observed on Earth or any where in the solar system. The radiant greenhouse effect is science fiction which renders the entire AGW conjecture as science fiction. Of course the IPCC will not recognize such for fear of losing their funding. It is all a matter of politics and not science. It’s quite amusing, but also ineffably sad, how the “canonical” three degrees C per doubling was determined. Two WAGs existed, one of 2.0 degrees and another (Hansen’s) of 4.0 degrees. So the boffins that were average the two at 3.0, and assumed a “reasonable” margin of error of 0.5 degrees. Hence, the still not improved upon range of 1.5 to 4.5 degrees C, derived without any reference to reality as scientifically observed, yet considered good enough basis for the ruination of industrial society. Thank you for adding this piece of information.. It has all been more a matter of politics rather than science. After more than two decades of effort the IPCC has not been able to do any better than to average two WAGs. In fact, actual observations of the climate system since 1979 have shown that real ECS, if the concept even be remotely valid, lies in the range of 0.0 to 2.0 degrees C, with the best estimate of central value around 1.6 degrees C. That implies a slight positive net feedback, about which I’m dubious. Direct ECS without feedbacks and in lab conditions rather than the complex actual climate system is about 1.2 degrees C.
IMO net feedbacks are more liable to be negative than positive. But IPCC needs ECS above 2.0 in order to be scary, so the plainly non-physical model runs are left in. So-called “climate science” is totally, utterly, completely, criminally corrupt antiscience. It’s Jonestown-style high priests need to be put away for life. Chimp: As I pointed out, the calculations are too great by more than a factor of 20 because of the fact that doubling of CO2 will cause a decrease in the dry lapse rate. 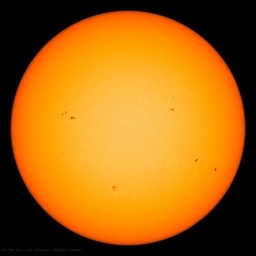 These calculations also pertain to a radiant greenhouse effect that has yet to be observed on Earth or anywhere in the solar system for that matter. The surface of the Earth is on average 33 degrees C warmer because of the atmosphere because of a convective greenhouse effect which is a function of the heat capacity of the atmosphere, the thickness of the atmosphere, and gravity. The convective greenhouse effect has nothing to do with the LWIR properties of any of the gasses in the atmosphere and accounts for all 33 degrees C that has been observed. There is no room for an additional radiant greenhouse effect. If CO2 really affected climate, one would expect that the increase in CO2 over the past 30 years would have caused at least a measureable increase in the dry lapse rate in the troposphere but such has not happened. Seems the Global Alarmists are like the “Those Magnificent Men in Their Flying Machines”! The Lust for Money and Power. why wouldn’t those with strong feelings in the other direction volunteer? 1. They might have, but if they had they would have been badly outnumbered. That’s what happened with the AGU committee, evidently, where the lone skeptic faced 14 or so believers. 2. Skeptics are mostly merely dubious, so so not as highly motivated as save-the-earth believers. From my book “Climate Change: Myths & Realities”  — The “Science of Climate Change” has turned into a political satire of “Global Warming & Carbon Credits” in tune with this the “Science of Climate Change” moved from a scientific body, the World Meteorological Organization (WMO), into an elected political body, the Intergovernmental Panel on Climate Change (IPCC) and as a result the scientific community and the media along with political community started thinking locally and acting globally. In this process the major casualty is the health of life forms on the Earth, more particularly in developing countries, most of which are located in “warm” tropics. In part-II  of the same book — “It has come to our attention that refers to poorly substantiated estimates of rate of recession and the date for the disappearance of Himalayan Glaciers. R. K. Pachauri, the head of IPCC, whose integrity was questioned by London Telegraph, said that the acceptance of the error “only strengthened the credibility of the global body”. Pachauri has previously dismissed criticism of Himalayas claim as “voodoo science”. Just few days back Al Gore admitted similarly a mistake of his own observation that “the latest research showed that the Arctic could be completely ice-free in five years” is not based on science but based on “assumed” information like that of IPCC’s. In fact, I myself questioned the IPCC’s observation on retreating of Himalayan glaciers in my counter to an editorial in Down To Earth [in which I also pointed out Al Gore’s media PR to get Noble Prize], which supposed to be published but Editor of the Down To Earth informed me saying that instead of this article they would, are publishing my comments on Polavaram Project — it was published – because just before going to print, Noble Prize was announced to IPCC & Al Gore. IPCC and Al Gore have not returned the Noble Prize even after accepting the mistakes of poor quality assessments on ice and glaciers melts. ur data contradicts all this? The eco-villain in The Bond movie “Quantum of solace” was Named Maurice Green in the original script (written by a Canadian writer), But was changed to Dominiqe Green in the movie. I wonder if pepole in general understand how close to reality the plot of the movie is. United Nations is a fundamentally flawed in many ways. We are now seeing the results. Unable to fix the real problems of today they attempt to prevent imaginary problems of tomorrow. Everything else should be left to survive on its own – just like all other political, idealistic or activist non-governmental organizations. The UN is fundamentally flawed. Period. It is incapable of performing any useful function. Even those activities that are within the scope of it’s charter have proven to be failures. a couple of himalayan glaciers are old news. In 2014 a study of 2181 Himalayan Glaciers from 200-2011 showed that 86.6% of the glaciers were not receding [this was also informed to Indian Parliament by the minister of forests & environment and climate change after his return from Paris meet in December 2015]. Heavy snowfall recording was reported in the last two years in Himalayan zone. Gongotri which started receding by 20 m/yr due to a fault zone is now reduced to 7 m/yr — recovering. on global glacial mass balance? I’ve tried reading this post both in Chrome and Microsoft Edge and can’t read more than a few lines without it bouncing to the top or bottom of the page. Very annoying. This seems to be the only site I frequently visit where this happens. Anybody know what is causing this? Happened 4 times while writing this short post. Mis-behaving ads. Some form of ad-blocker will usually fix the problem. I’ve encountered more problems with this site than any other I visit. Edge, which I’m currently using, seems better than Explorer or Firefox. However, last night I was experiencing problems with highlighting text to cut and copy. I was also getting some mysterious audio cropping up. It seems to help to close the browser and re-open it. As rebuttals to the CAGW science, Maurice Strong as founder of the movement, a high school dropout from the Canadian prairies, lifelong communist, doesn’t get mention enough. Indeed you will never see MSM or scientific societies, or academic supporters, or proponent politicians ever say his name. That he died quietly not many years ago in China where he had retired, a country he admired throughout his life, was probably a relief to the inside CAGW crowd. Yet if the planned destruction of western civilization, democracy and free enterprise (essentially of the USA, because the rest of the west was already nose-ringed, dehorned and laughing and gamboling on their way to servitude), it would be Maurice Strong’s statue that would be decorating the world’s city centres. Some of Strong’s quotes send tingles down a free man’s spine. His remark that – wasnt it a duty to bring down western civilization? Useful idiots and trolls would be scarcer on such sites as WUWT if they knew who created all this. But that is the essential nature and usefulness of the useful idiot. Let’s see how many show up here today. that he died in China because the US government was investigating him for fraud in the “Oil for food” debacle in Iraq. Incidentally, in 1992, the year he chaired the Rio Conference, he was also appointed Chair of Ontario Hydro, the Provincial government agency that controls all power in the Province. I wrote about the damage he did as a warning to all other governments who are considering applying his policies on energy. It is almost impossible to read these posts. It keeps jumping down. The next time I read a blog, I hope that it doesnt disappoint me as a lot as this one. I imply, I do know it was my option to read, however I truly thought youd have one thing attention-grabbing to say. All I hear is a bunch of whining about something that you may repair should you werent too busy on the lookout for attention. which explains how science was corrupted and co opted by Strong and his Agenda 21 program. “3. Ava says -It looks like the Earth is going to cool down- Why is my teacher and President Obama saying the earth is going to get very hot and the Polar Bears are all going to die unless I walk to school ? not always, e.g. petm. two snowball earths. younger dryas. d-o events. heinrich events. co2 has always been a vital part of the climate changes on earth. no different now…..
CO2 did not cause any of those events, with the possible exception of PETM, which I doubt. CO2 variation is an effect of temperature fluctuation, not a cause. co2 had a role in all of them, of course. why do you doubt its role in the PETM? There is no evidence that CO2 played a role in any of those events. Merely ideologically-driven conjecture. The PETM occurred during a long warm interval, including the Cretaceous Period as well as the Paleocene and Eocene Epochs. More warming occurred before the alleged carbon excursions. The ultimate causes of the PETM, and even how much it diverged from before and after it, are far from clear. What is often overlooked is that the Eocene resumed getting warmer after the PETM rose and fell, reaching a peak well above the PETM spike. Then earth started cooling and hasn’t stopped yet. Yasser Arafat (and Perez and Rabin) won the Nobel Peace Prize in 1994 for bring the Middle East closer to peace. In 2000, Arafat turned down a final agreement and launching a campaign of terrorism against Israel. Obama was awarded a Peace Prize in 2009 merely for getting elected President and not being George W Bush. So the award to Al Gore and the IPCC was just more of the usual politics.